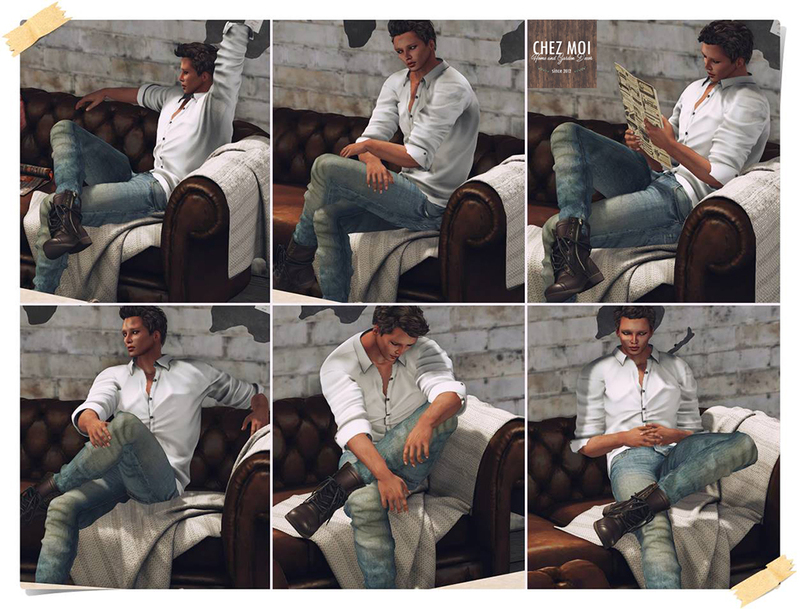 Cold nights, warm coffee, good books and great company! 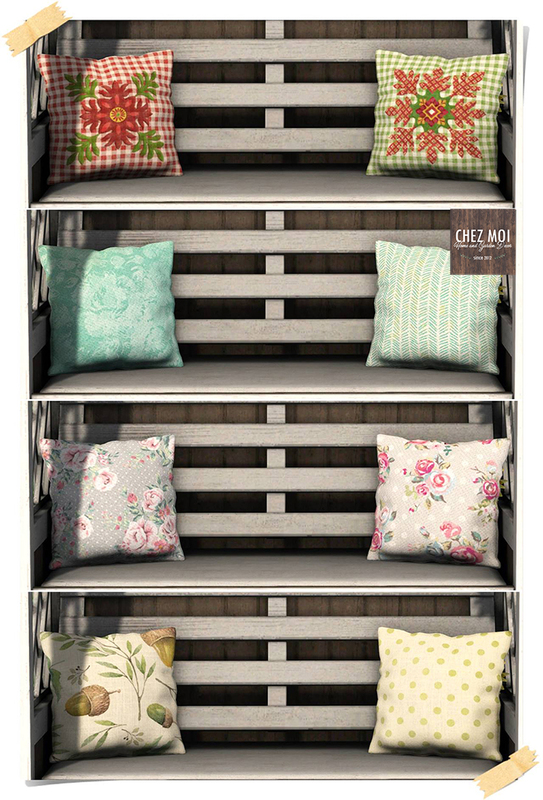 Enjoy the winter season outdoors with this lovely Sled Bed. 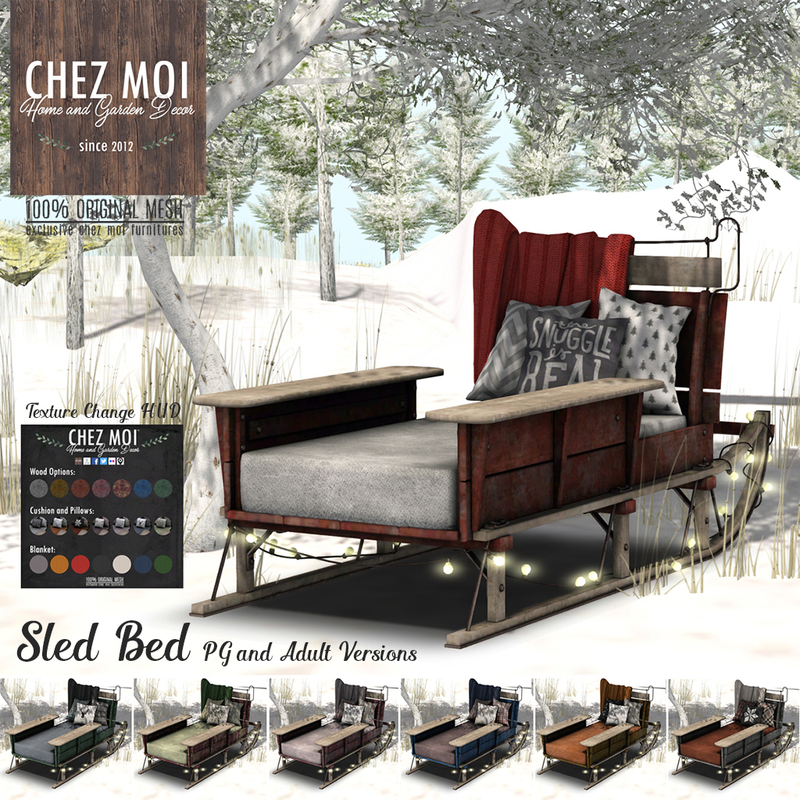 The Sled Bed comes with 72 animations in PG version and 132 animations in Adult version. 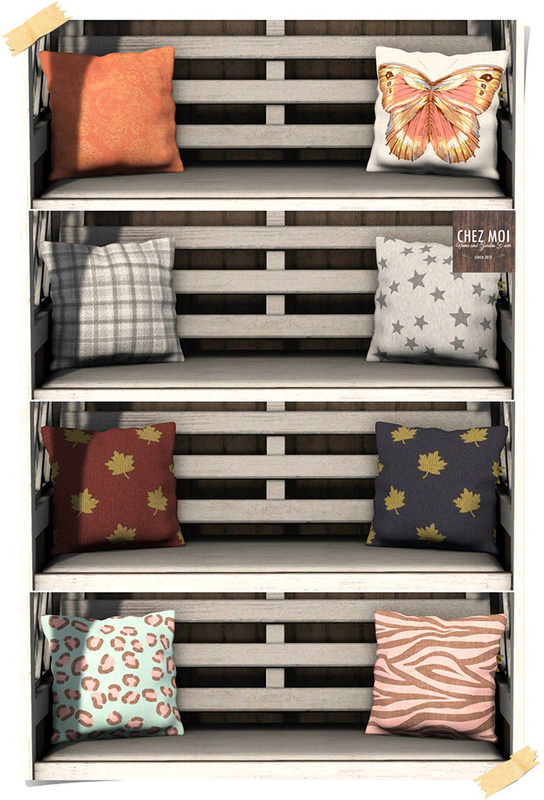 Texture change HUD: attach the HUD and you can choose the color of the wood, blanket, and cushion. 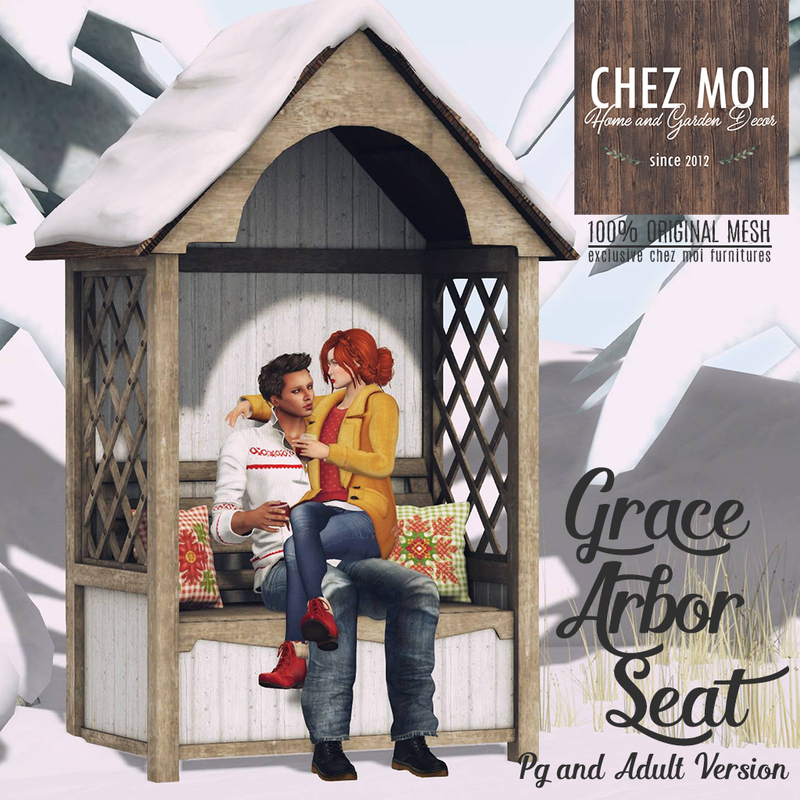 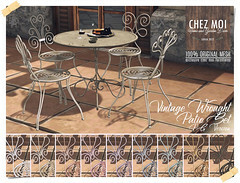 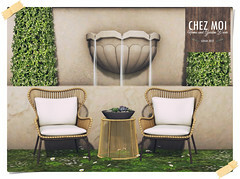 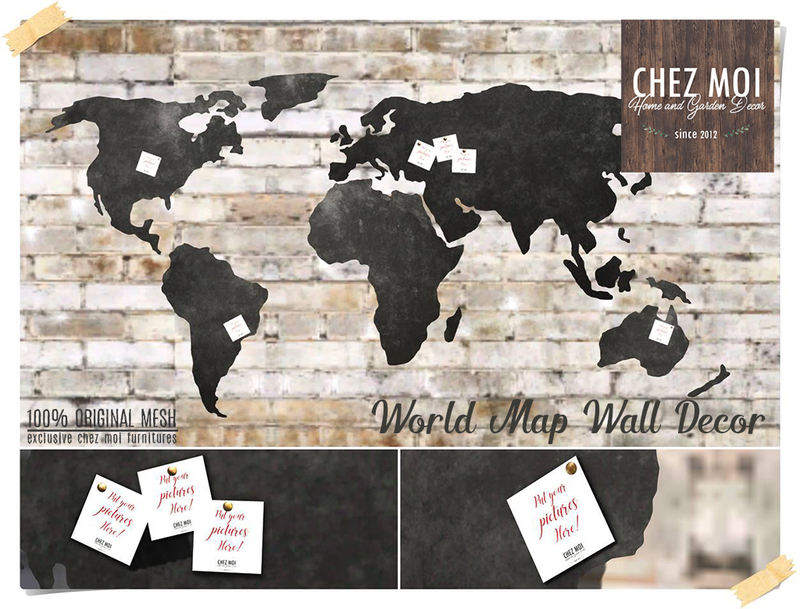 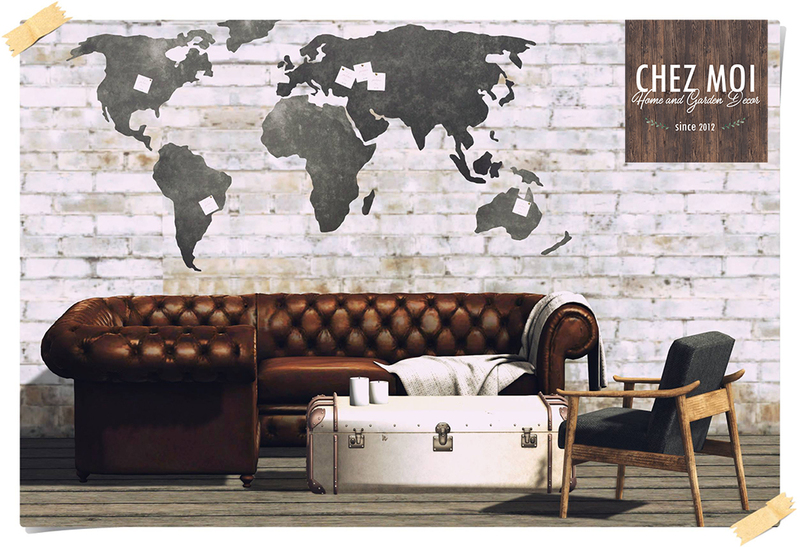 Exclusive for Shiny Shabby Event from November 20th to December 15th. 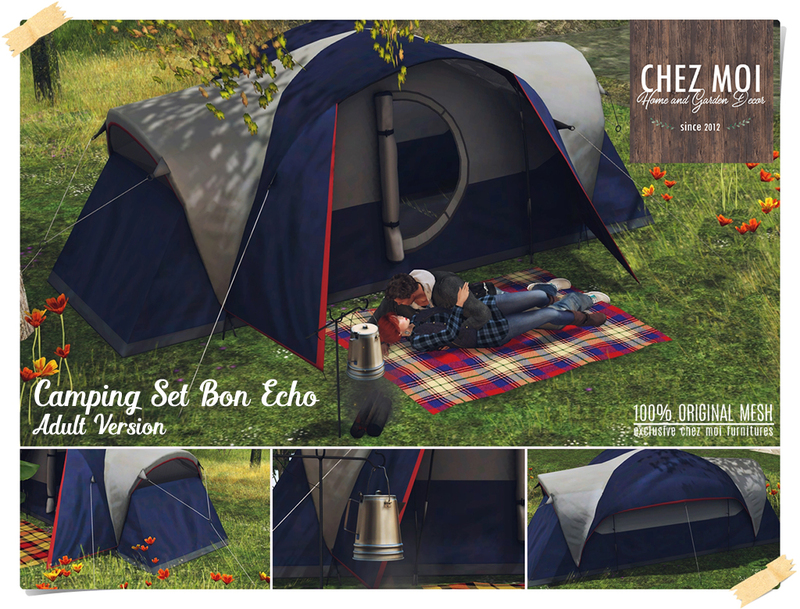 For this upcoming round, CHEZ MOI created the Camping Set Bon Echo! 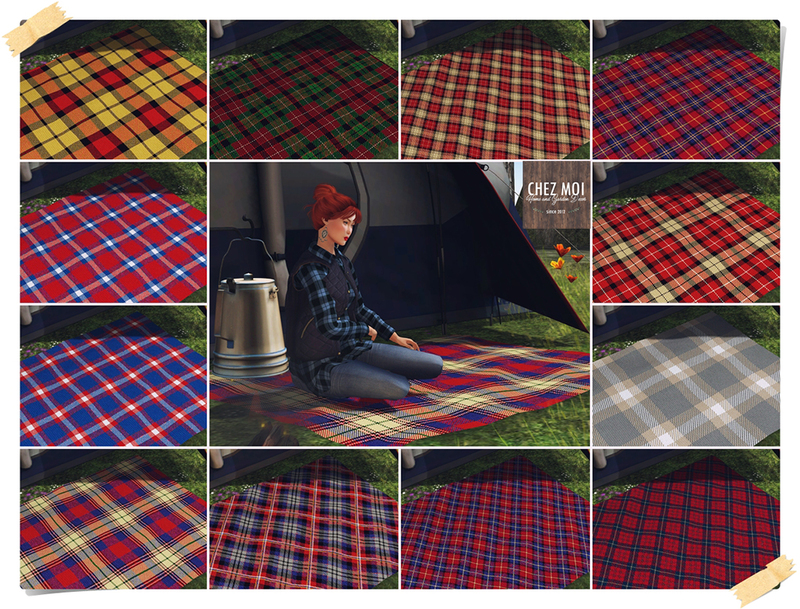 The Double Camping Tent comes with 64 animations in PG version and 114 animations in Adult version. 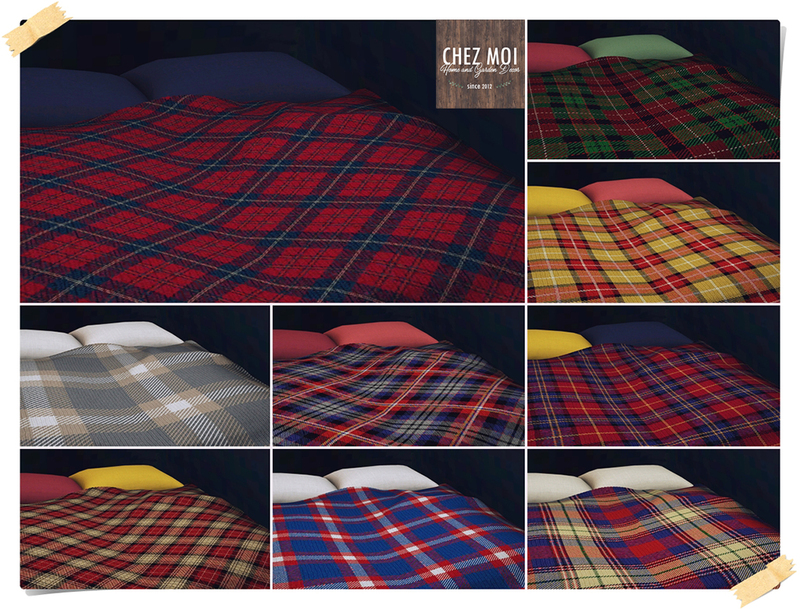 The Blanket comes with 74 animations in PG version and 124 animations in Adult version. 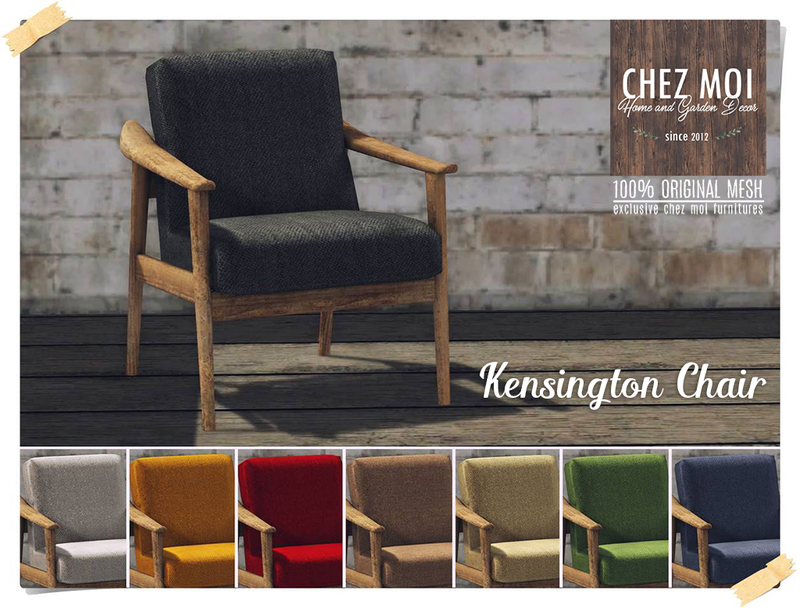 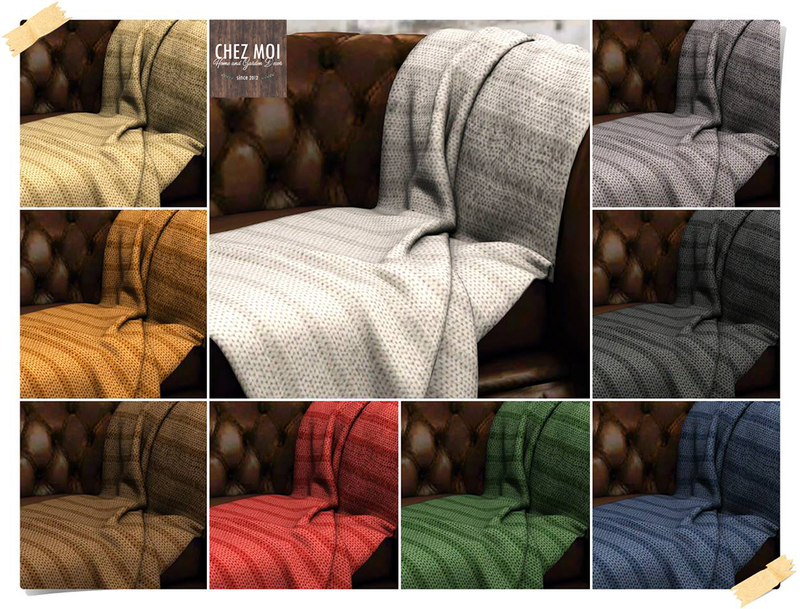 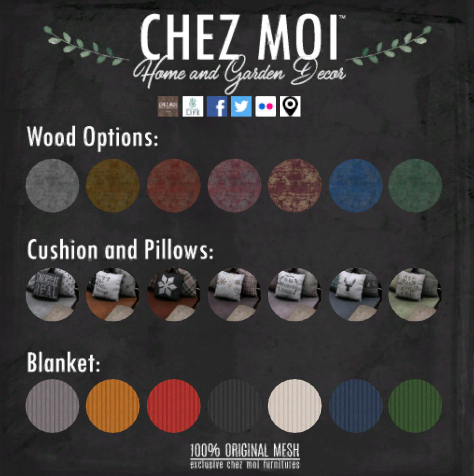 Texture change options: tap the blanket/bed to change texture – 11 fabric options to choose. 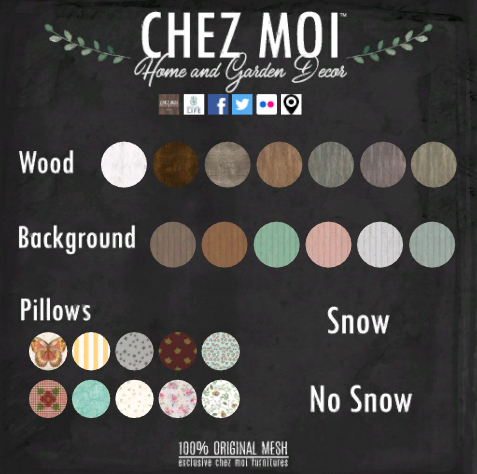 Tap the firewood to display the fire menu – Sound and Light Fx. 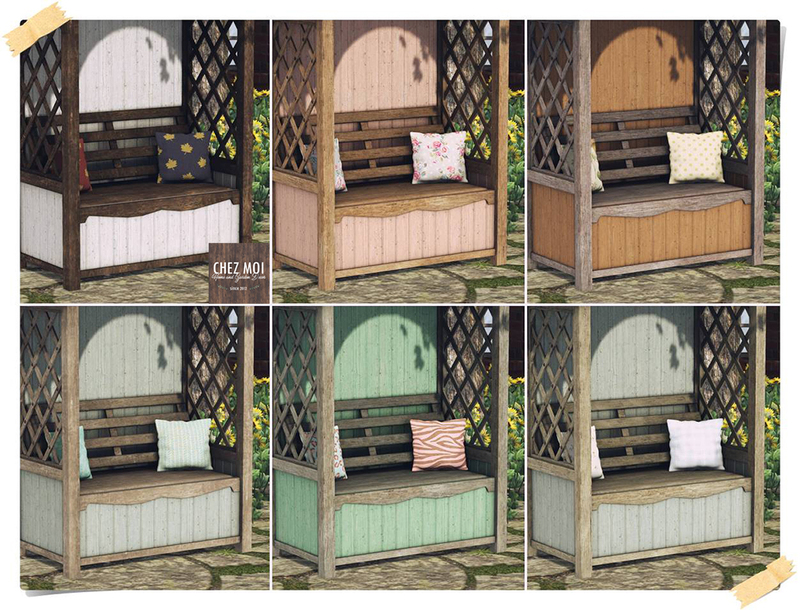 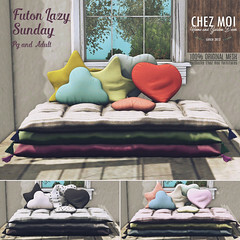 Exclusive for Siny Shabby Event from October 20th to November 15th.